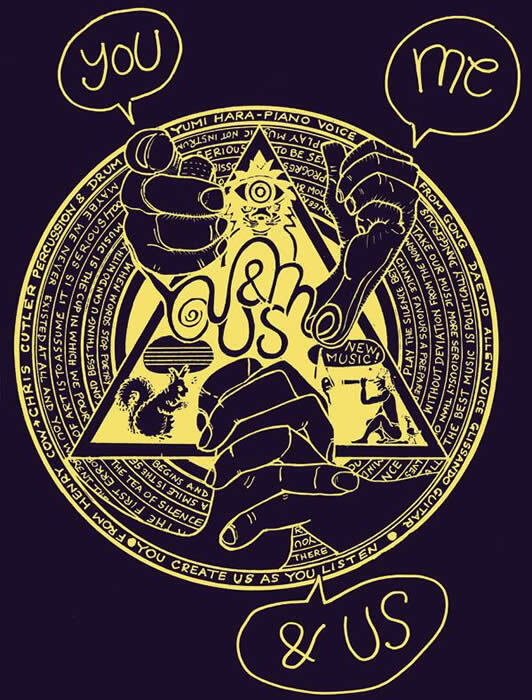 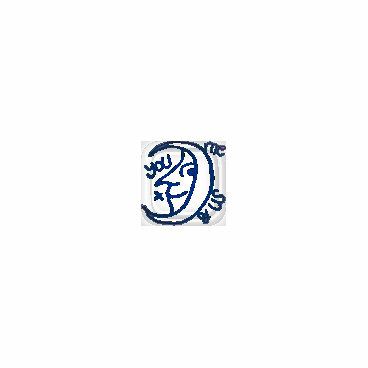 you me & us was formed in London in 2013. 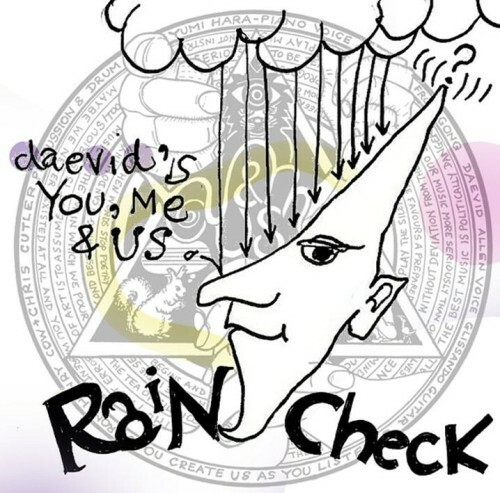 'Rain Check' DVD has been released and was available during THE WATTS Japan tour 2018 (22 Nov-3 Dec) for the people who had 'Rain Check'. 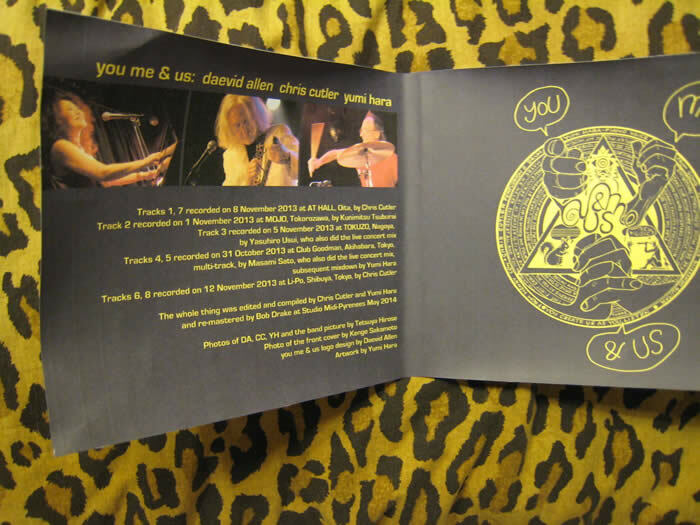 So many people wanted to keep the check, so we made a rubber stamp and stamped on the check when they received the DVD so that they can keep the check. 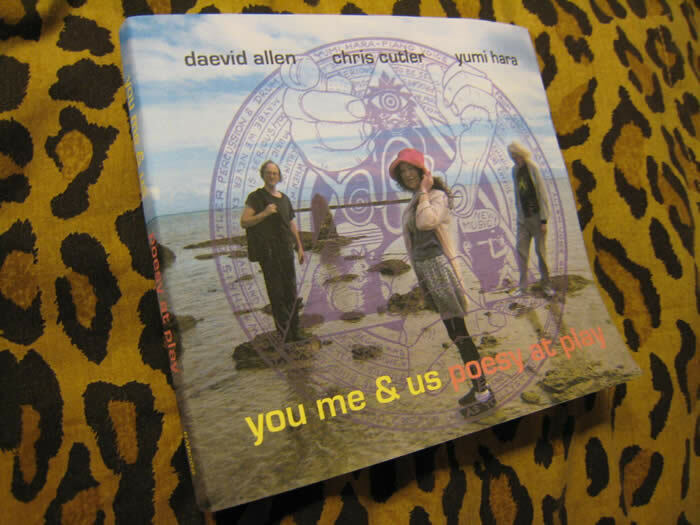 People who didn't have 'Rain Check' also wanted to get the DVD, so we decided to make them available for the same amount written on the check...1000 yen. 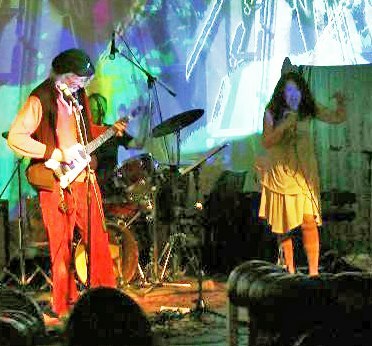 It was officially released on 5 Dec in Japan and it became No2 of DISK UNION Progressive Rock hit chart on 14 Dec (No1 was The Artaud Beats 'Nodutgang, Bodo. 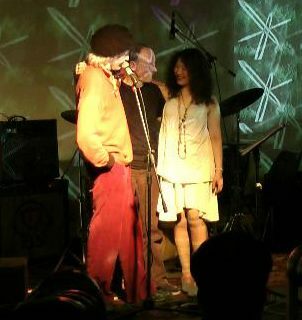 28.10.11' CD). 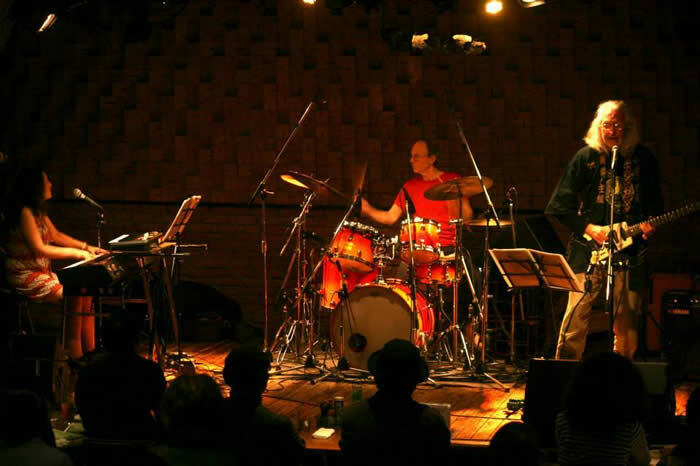 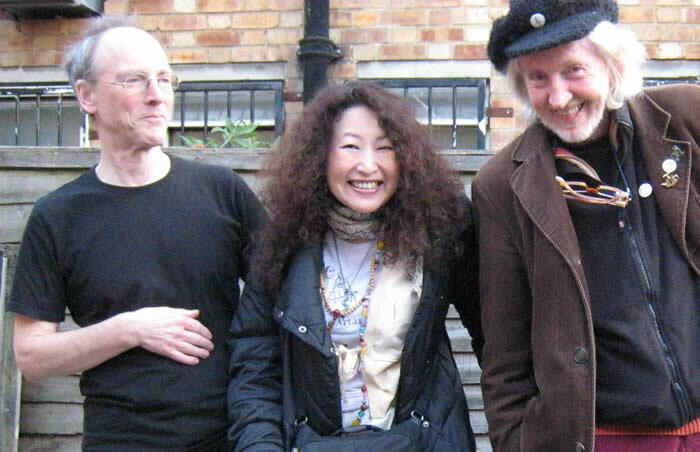 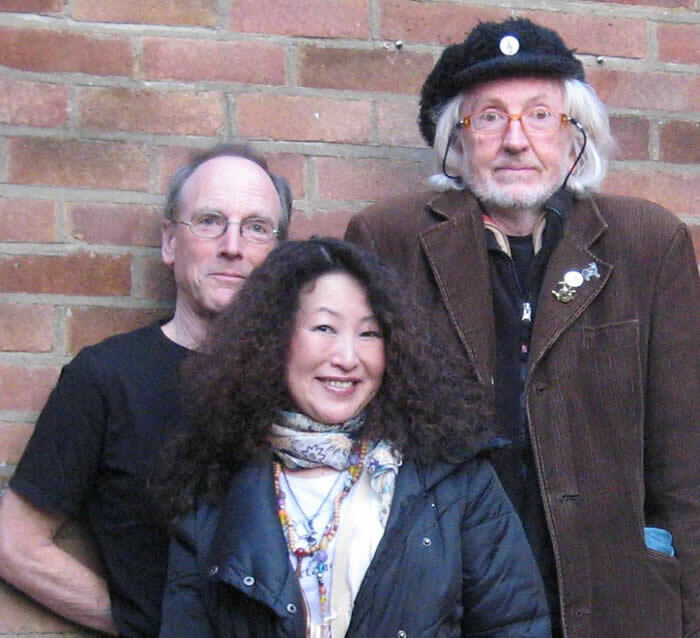 Alfred Harth (ex-CASSIBER, as, pocket trumpet, Chaos pad) and Sato Yukie, will tour with Chris Cutler & Yumi Hara, upon hearing Daevid Allen's ill health. 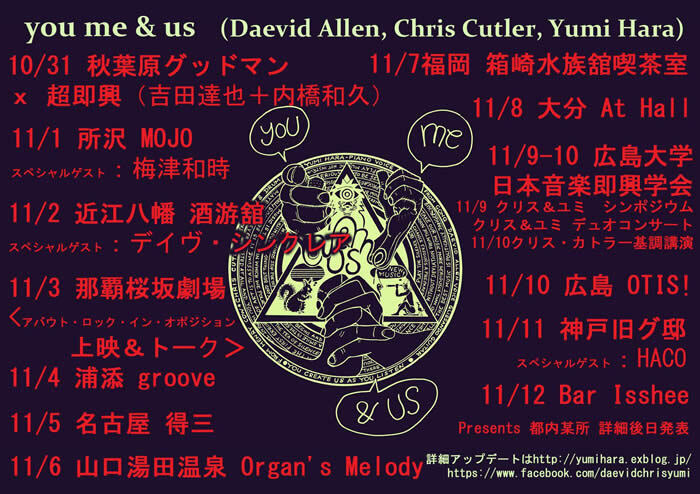 As Alfred had already left CASSIBER when they did the legendery Japan Tour in 92, so this will be the first ever performance in Japan for both Alfred and Chris play together.